Patients who are at significant risk of pressure sore development may have complex care needs, so pressure relief systems must be as adaptable as possible. The Alerta Sensaflo Hybrid Foam, Gel and Air Pressure Relief Mattress System combines high-specification foam with alternating air cells, a gel-filled heel pressure relief area, and an integral evacuation system to provide a truly comprehensive pressure relief solution. 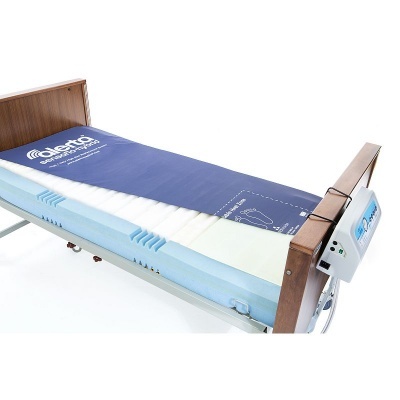 Suitable for hospital, nursing and care home environments, this mattress is recommended for those at very high pressure sore risk when used with the included pump. 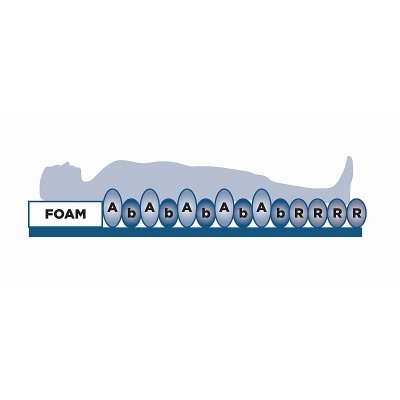 This system boasts the unique ability to change between a static foam mattress and a balanced-air self-adjusting air mattress – all without having to remove the patient from bed. The air cells are filled with foam, allowing them to change their pressure when needed to combine the properties of foam and air pressure distribution. The air cells are contained within a dense foam perimeter, creating stability and making side transfers as smooth as possible. 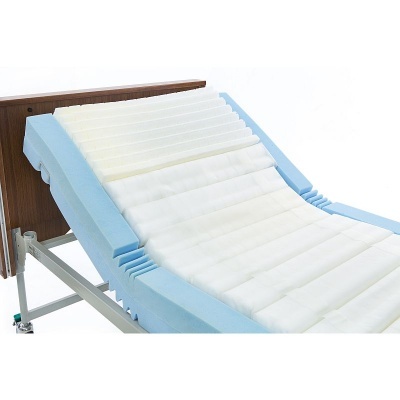 This mattress includes air tube housing, allowing the mattress to be used as a high-specification foam mattress without a pump to provide pressure relief for high risk patients. When combined with the included Alerta Pearl Pump, this mattress boasts balanced-air self-adjusting capabilities, boosting it to a very high risk pressure relief level. 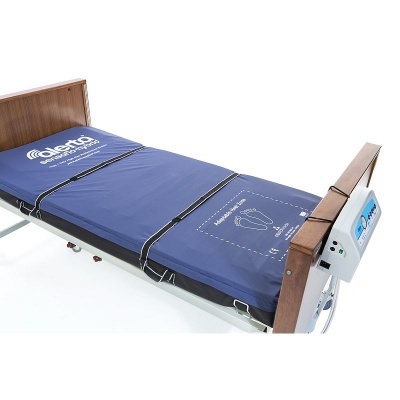 Every care facility needs to be able to safely evacuate all vulnerable patients in the event of an emergency, which often involves a difficult transfer from their pressure relief mattress to an evacuation mattress. To greatly enhance patient safety, the Alerta Sensaflo Hybrid features a built-in Alerta Evacuation System, complete with handles and straps to allow immediate evacuation. This means that carers can safely evacuate their patient without the need for a transfer beforehand. The heels are one of the most vulnerable areas of the body to pressure sores, so special measures must be taken to protect them. 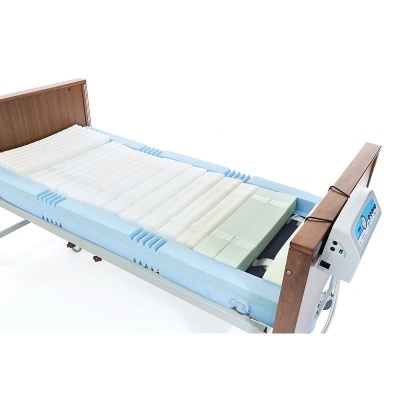 This mattress includes an adaptable heel zone with individually-removable gel heel pads, allowing carers to reduce the level of pressure on their patient's heels as needed. To protect the mattress in cases of spills of incontinence, it is provided with a multi-stretch, water-resistant cover. 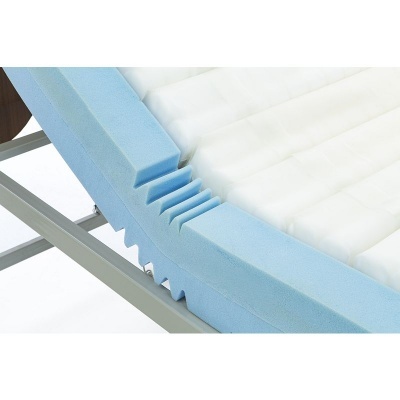 This cover is made with a vapour-permeable PU, allowing air flow between the mattress and patient while providing both comfort and protection.